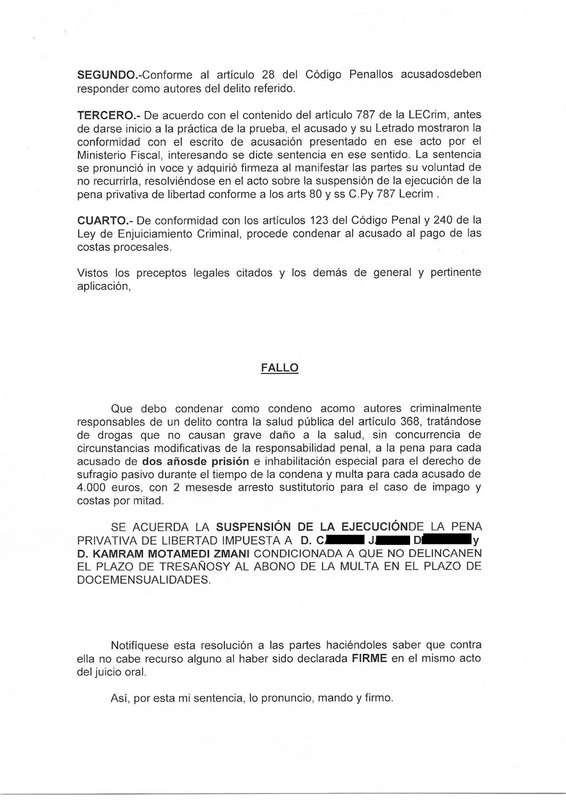 Kamran Motamedi, owner of Blankko and President of Torremuelle, declared himself guilty today in the Criminal Court of Malaga because of production, possession and drug trafficking. He has been convicted to two years in prison and 4000€ of fine. Motamedi recognized the felony as part an agreement between lawyers and prosecutor, so it was not necessary the statement of the witnesses neither the agents of Civil Guard. 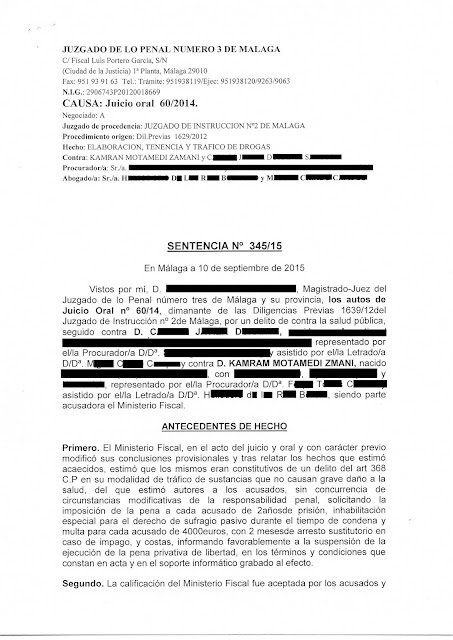 We can suppose that the defendant should know that with the evidences of the Civil Guard and witnesses, in the case of celebrating the trial, he would not have come on well and the sentence could have been bigger. The owner of Blankko and the other person implicated who accompanied him, C.J.D.S., have recognized to be the perpetrators of the laboratory that was dismantled by the Civil Guard in a house in Alhaurín de la Torre on March 2012, where they expected to grow marijuana in big scale, and having been confiscated more than 64 kg. of drugs. Motamedi attended the trial dressed up with a suit and tie. 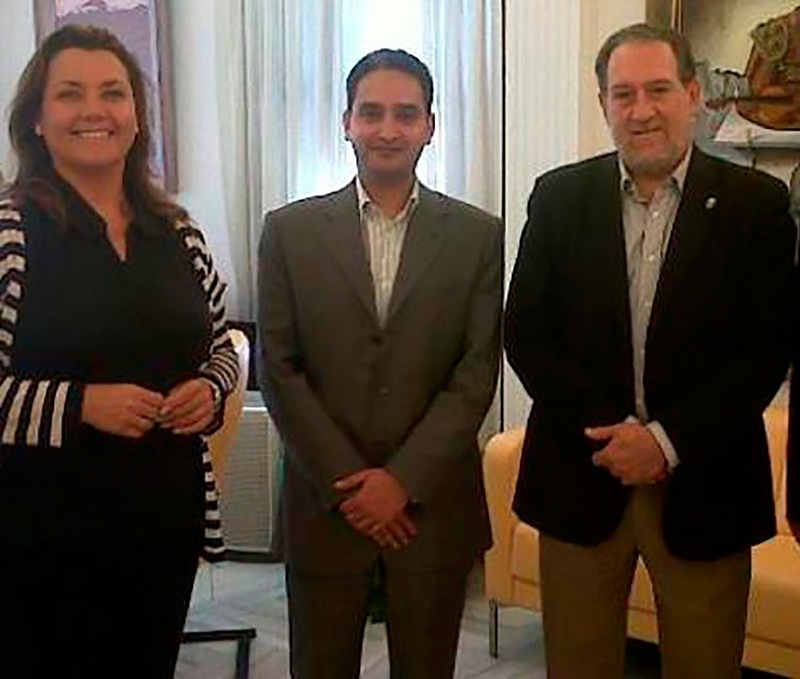 As curious date, when the judge asked him about his profession and incomes, the President of Torremuelle has answered that he is a business owner and that his incomes are limited: "about 12000 € per year" and he lives in a rented house where he pays 800 € per month. The judge, surprised, has asked him again "if you earn 1000 € per month and you live in a rented house where you have to pay 800€, how do you get dressed up…? How do you eat?" In our opinion, it seems that the answer given by Motamedi was to make the judge thinks that his incomes were minimal and in this way try to reduce the fine. 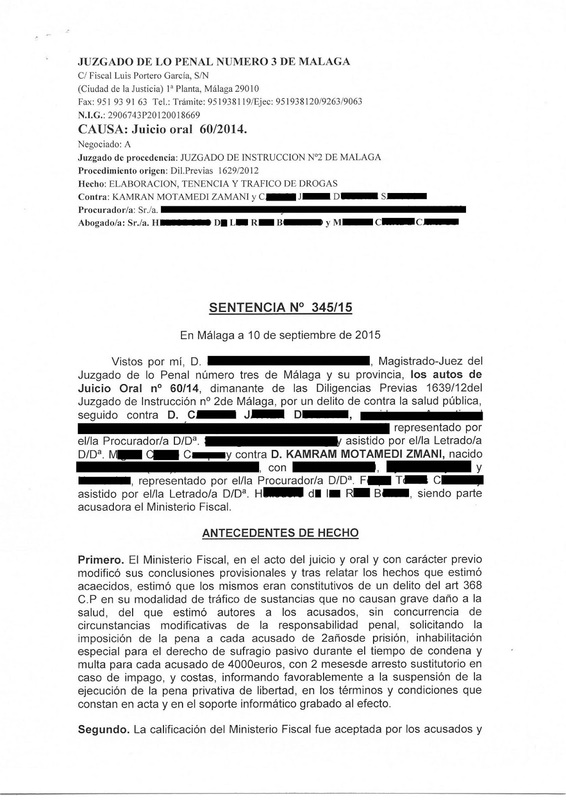 In the door of the courtroom were the witnesses and some agents of the Civil Guard who provided documents and photographs about the investigation. 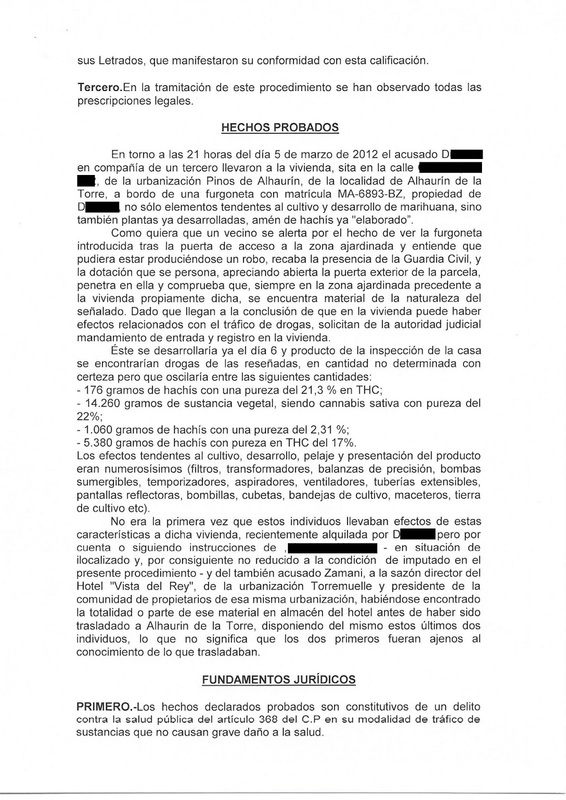 Between the witnesses there were some well-known business of the Puerto Marina, who were the owner of the house rented by Motamedi, for growing marijuana, in Alhaurín de la Torre through a front man. The owners of the house were complaining about the deterioration caused by the detailed registration realized by the Civil Guard (broken walls, roofs, wall sockets…) to search materials and more proofs to clarify the investigation. We must remind that Motamedi has still pending some penal trails, between them, one for attack, allegedly, a neighbor of Torremuelle in the vicinity of the Watchtower, causing him the total loss of the vision of an eye. So we have a self declared drug traficker as president, who collects our community fees every 3 months which he invests in his own restaurant. In this restaurant, reformed in an ilegal way he receives important local politicians and police officers ans celebrates partys with them without having the permission to do so. 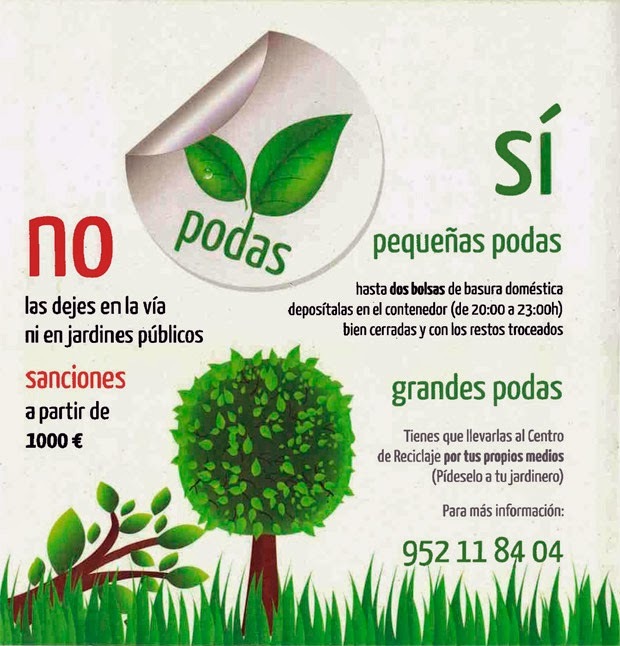 Benalmadena should be ashamed of itself that they don't do everything possible to end these criminal events.